If you're planning on playing Fallout 76 when it releases later this month, you'll need to watch out for flying dismembered limbs, drugs, and dreaded microtransactions, warns the ESRB. Earlier this week, the Entertainment Software Rating Board (ESRB) -- the people in charge of rating games in North America -- went live with their rating for the highly-anticipated Bethesda game. 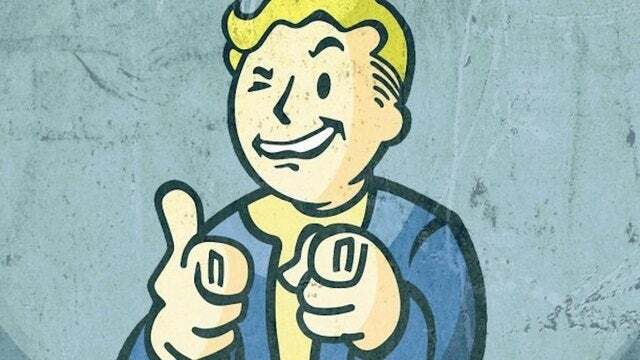 And as would expect, Fallout 76 has retained the series' "M" for "Mature" rating as it makes the jump from single-player to multiplayer. Broadly, the ESRB warns of blood, gore, drugs, strong language, and "intense violence." Further, it notes of in-game purchases and user interaction, the former meaning it can't rate what flies out the mouth of a pissed-off 14-year-old Vault dweller or his explicit music blaring through the headphones. The rating agency also provides the following "rating summary:"
"This is an open-world role-playing game in which players must survive/thrive in a post-apocalyptic world. From a first- or third-person perspective, players search for supplies/food while battling other survivors and mutant creatures. Players use machetes, machine guns, rocket launchers, and grenades to kill ghoul-like creatures and other enemies in frenetic combat. Some weapons allow players to blow ghouls apart, resulting in flying limbs and chunks of flesh; wounded characters can also be executed with gunshots to the head, resulting in decapitation. The game includes frequent references to drugs called Chems, which are sometimes used as plot points for characters; Chems can be found, manufactured, and used to enhance performance/skills of characters, though there is no actual depiction of use. The words “f**k” and “sh*t” appear in the dialogue." If you've played any modern Fallout game, all of this will sound quite familiar, except for the user interaction and microtransaction part. Ghouls, Chems, cursing, and flying body parts is all classic Fallout. Fallout 76 is in development for PlayStation 4, Xbox One, and PC, and is poised to release next week on November 14 at the price-point of $59.99 USD. At the moment, there has been no word of a Nintendo Switch port. For more on the mutliplayer role-playing game, be sure to check out all of our previous coverage of the title by clicking here.